Natural ability, intelligence, education and effort only get one so far in life. Beyond that, individuals need to tap into external resources in order to be successful. They need social capital. Sounds like a buzz word, right? It is, and it’s being talked about a lot right now, but the concept of social capital is really quite straightforward. 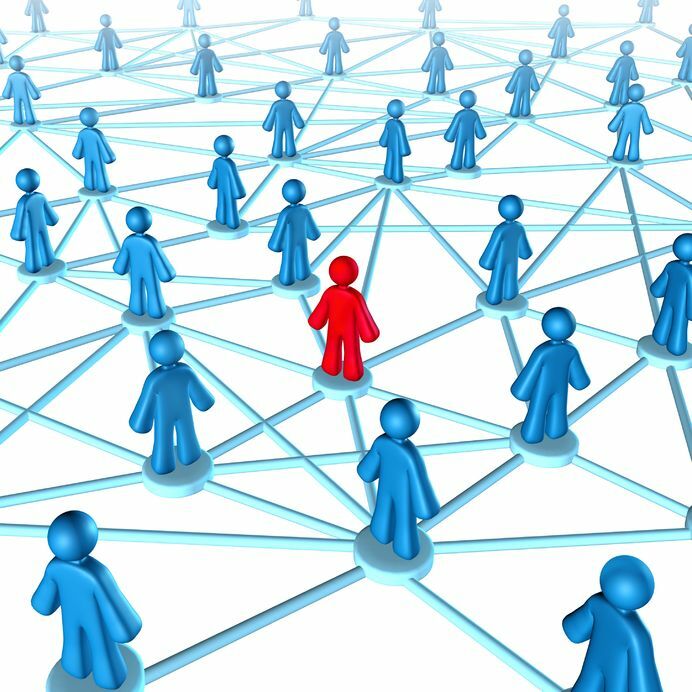 Simply put, social capital is a network of information and resources from which an individual benefits. Probably the easiest-to-understand application is how social capital is related to one’s professional life. A strong professional network helps individuals achieve their career goals. But the implications of social capital – or the lack thereof – influence individuals long before careers are launched – as early as high school – when students are trying to access information and resources to prepare for postsecondary education. How are social capital and college access and completion linked? Social capital and college access are linked in several ways. First, it can be linked to access to information about career possibilities and the educational pathways to those careers. High school students from higher-income, suburban backgrounds see a wide variety of career options and can count on friends and family members to help them explore different careers and answer questions about how to pursue them. For first-generation and low-income students, their exposure is much more limited. They know about doctors and nurses, for example, but they don’t know about other opportunities in health care, like phlebotomy or radiology. This limited exposure often also creates limits for what they think they’re capable of, which influences the postsecondary choices they make. Second, social capital is linked to access to information and resources about the college process. Again, students from more affluent backgrounds have social capital in that they have friends and family members who have gone to college and gotten a degree – people who understand the cumbersome process and the milestones that must be met in order to enroll in a postsecondary program. These are also people who can advocate on behalf of the student when he or she encounters a problem. First-generation and low-income students often do not have that social capital or support system when they embark on the college-going process. Despite good intentions among friends and family members, the system is set up to support those who already know how to navigate it. College visits, completing admissions applications, applying for financial aid, etc. are things that it is assumed everyone does or knows to do as they prepare for life after high school. But for a low-income student, going on a college visit is often challenging due to lack of transportation. A first-generation student may get through college applications and the financial aid process but might not know the difference between a grant and a loan and could wind up making a poor financial decision as a result. Long story short, having social capital in the form of someone who has been through the process is critical to student success. Again, students need a significant amount of support as they begin thinking about life after high school. The process of planning for postsecondary education is challenging for all students – but first-generation and low-income students often lack the social capital necessary to make informed decisions about what comes next and are essentially on their own to find their way through the labyrinth of the processes and deadlines related to the college-going process. College Now works to help first-generation, low-income students access and build social capital in several ways. First, while students are still in high school, our advisors serve as the adult in a student’s life who has successfully navigated the postsecondary process. With advisors embedded within more than 80 Greater Cleveland schools, College Now becomes the link between students and information, resources and advocacy. Our advisors help them learn about careers and the educational pathways that lead to them; facilitate ACT/SAT prep; walk them through the application and financial aid process; advocate to schools on the students’ behalf; help them determine which educational option is their best fit; and support them through the transition to college. Once they’re in college, College Now helps its scholarship recipients build social capital through its Mentoring Program. Each student is paired with a professional in the community whose “job” it is to be a completion coach of sorts – basically, to help the mentee overcome any obstacle (big or small) that might interfere with his or her ability to complete a degree. And, in many cases, the mentor helps his or her mentee build a professional network through which the student can find internships and jobs. In a lot of ways, finding a job when you’re fresh out of college is more a matter of who you know, not what you know; and for first-generation and low-income students, having help getting a foot in the door makes all the difference. From high school to college to that first foray into the professional world and beyond, social capital is an extremely helpful resource. It is not something that everyone is born with, but social capital is something that organizations like College Now are committed to ensuring that all students acquire to enable them to find educational and professional success.